Cell phone networks might be easily used for eavesdropping of your private conversations and even intimate encounters with someone. We have devices which can protect your private life from any third party involvement. When you are at the cinema, no one must interrupt you from getting a charge out of the new movie, right? You can use our devices to prevent rude guys from talking via their cell phones during the movie. ndustrial espionage is an everyday occurrence these days, yet that does not mean you don’t have to protect your company from it. Installing special devices to prevent hidden video and audio surveillance in your office is an issue we can help you with. All global meetings have the highest level of security measures because the most influential people are meeting there. Our devices are used by many governmental agencies around the world to improve their wireless security even further. Law enforcement agencies of many countries use data provided by local mobile phone carriers to get private information on every person, often without even obtaining the warrant. Use our devices to prevent your private data from being shared with your government. There is no student that can imagine his or her life without cell phone, though they can use their gadgets with the purpose of exam cheating. Our devices can help teachers and professors in different educational institutions to prevent students from cheating on exams. TITAN jammer is one of the most powerful portable jamming solution currently available on the market..
GJ6 is our best GPS jammer. 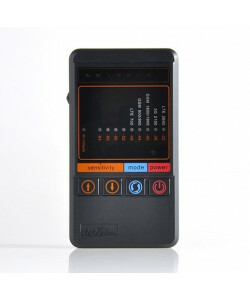 It is a handheld device that is specialized at working against all kin..
HPJ1000 is a kind of device different from the most products of this category. 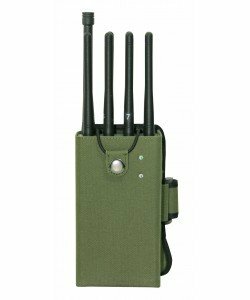 It is a bigger model ..
Albatross is a pocket GSM jammer that may be used against GSM, CDMA and other mobile phone networks ..
TRC-3 is a universal remote control jammer that can stop the work of all commonly used remote cont.. 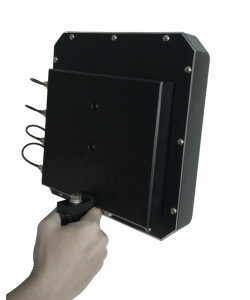 It might be surely a harassing experience for you and your loved ones, if some one is tracking yo..
First ever portable drone jammer available on the market. From now there is no need to spend dozens ..
Wireless industry changes very quickly these days. While it develops many useful devices it also creates many threats to the privacy of every person that interacts with the industry and devices it creates. Jammer Store company does its best to provide our customers with the best devices to jam the signals of cell phone as well as frequencies of other devices. The technology of all our cell phone jammers and cell phone blockers was developed in Sweden, it means that all our cell phone jammers for sale have the highest quality and best specifications on the market. That's why we are not afraid to provide 1 year warranty on our cell phone scramblers and mobile phone jamming equipment, because we are absolutely sure that these devices will be used by you without any problems. So let us give you some details on possible threats and protection measures against them. First of all, it is GSM frequency that causes so many problems for lots of people out there. And there is much more than those people which like to talk via cell phone too much in public places. GSM bands might be used in technologies like Cell ID to triangulate the location of cell phone user between three closest cell phone towers. Such technologies are used by the government and large corporations to find out where you are. In addition GSM signals might be intercepted and used for eavesdropping of your conversations in real time. However, the usage of simple GSM jammer will not be enought, you also need to be sure that other frequencies are blocked as well. 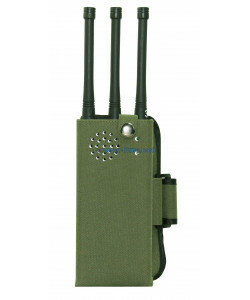 3G, is the most popular cell phone frequency after GSM, so you will also need a 3G cellular jammer. 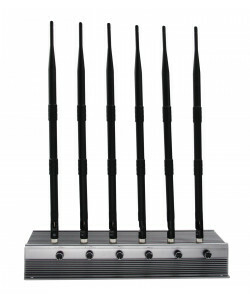 Our jammer shop offers you both portable and desktop signal jammers which will be able to jam GSM and 3G. The next one in our list is GPS tracking satellites. In fact, not only GPS but also GLONASS, Compass, Galileo, QZSS, SBAS and other satellite constellations which might be referred to as GNSS, or Global Navigation Satellite Systems (do not mix up with the same name for GLONASS). As long as GPS is the most widespread among them it is commonly used in the names of devices which block its signal (GPS scramblers or GPS signal jammers). GPS and other satellite signals might be used not only by your navigator but also by the hidden tracking device under your car put there by law enforcements or some bad guys who need to know your exact location. Not only GPS tracking devices are used to track your location but GPS module of your smartphone might be used for this purpose as well. 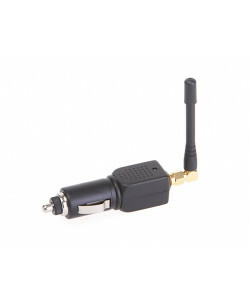 So Jammer Store offers you GPS jammers for sale which designed to prevent any kind of satellites tracking your movements in vehicle or on foot. But the tracking industry is constantly in the state of development thus more and more complex trackers are appearing and more advanced location finding technologies are used. As a result of this development new type of tracking devices has appeared. They are called A-GPS tracking devices because they use Assisted GPS tracking technology. This technology is a combination of cell phone tower triangulation mentioned earlier and satellite location tracking we used to. It means that usage of a single GPS jammer will not help you in this situation, you will also need a strong cell jammer to stop unauthorised tracking. That's why Jammer-Store.com manufactured special devices for this case - GSM/GPS blockers. Each jamming device has the ability to jam mobile phone and GPS frequencies at the same time, so you don't need to buy two different devices for this purpose. There are many other threats of the modern world related to the wireless frequencies like Wi-Fi and Bluetooth connections, devices which use low frequency bands in their work and many more. If you want to familiarize yourself with all those threats and devices which can protect you from them – please visit the category pages of our site devoted to those particular wireless threats and methods of solving them.